mobile phone design. mobile phone design history. Functionality drives a mobile towards a particular shape. They are a bit like car designs put in a wind tunnel to reduce drag – they all come out looking much the same. It takes real genius to break-out and produce really great designs. Whilst most attention is paid to technology advance, the world’s mobile culture has been enriched by these occasional bursts of outstanding design. 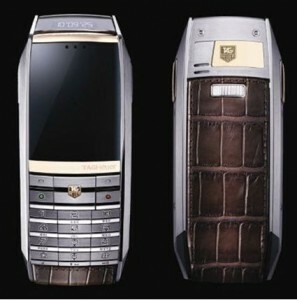 Even more exceptional is for a mobile phone to emerge in the class of fine art and great craftsmanship. We set out to discover the new design trends in mobiles that have emerged over the past two decades and some rare industrial design gems. 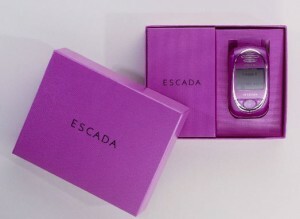 The Japanese network operator KDDI set out to create a reputation for offering outstanding designs of mobile phones. The “Talby” was the third in a series in this mobile design project in which some of the world’s leading designers were invited to create something special. The designer was Australian born Marc Newson and the genius of the design was its combination of almost perfect form factor for a phone, futuristic look from its use of brushed aluminium, pop colours for the keys and very comfortable to hold in the hand. 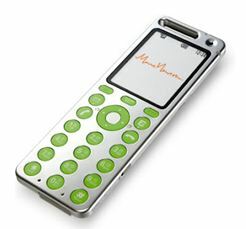 It was produced by Sanyo and launched in 2004 on the Au network in Japan. 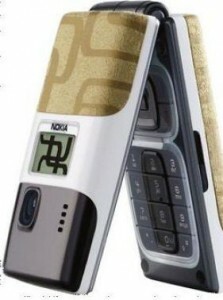 In its hey-day the Nokia 6310i was hugely sought after by the corporate executive. At one point the VIP demand was so high that Vodafone sent an e-mail around to its staff pleading for any staff that had one to give it to the Business Division in order to meet demand. It is not obvious at first glance why it was so popular. It boils down to the designer getting everything “just right” for a telephone. The length and depth of curve on each side of the body of the phone made it very comfortable to hold. The curve around the loud-speaker allowed the mobile to be pressed tightly to the ear to blot out office background noise. The keys could be easily pressed by the largest of fingers. The battery life was exceptional. Bluetooth made for easy connection in a car hands-free arrangement. It is one of the great “nostalgia” mobiles. One of the most pronounced design trends of the second decade of mobile phones was “thinness”. Consumer focus groups brought out that something that is “body worn” should not stick out and mobiles were now regularly being tucked into a pockets. 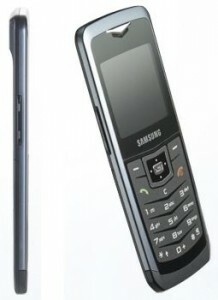 Our records show the world’s thinnest mobile phone is the Samsung U100 (at 5.9mm) that came out in 2007. An entertaining battle broke out in 2011 between Samsung and Apple as to who had the world’s thinnest smartphone. In one corner the Galaxy S2 measuring 8.71mm at its thinnest point but bulging out to 9.19mm to accommodate the camera lens. 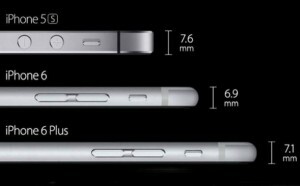 In the other corner was the Apple iPhone 4 with a uniform 8.71mm the entire length. The referee was the UK Advertising Standards Authority. The ASA took the view that consumers would not be interested in the thinnest part of the device, but in its overall measurements that affected whether the device could fit easily into a pocket. 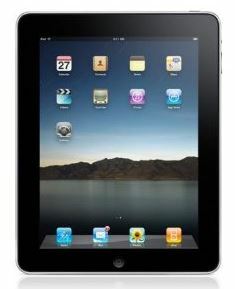 Apple emerged with the 2011 crown. In terms of the battle of the smartphone giants, the flagship Samsung Galaxy S4 that came out in 2013 is 7.9mm thick.. 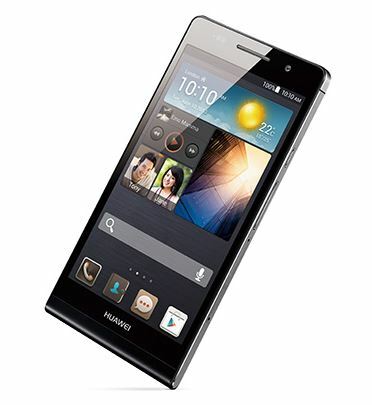 In 2013 Huawei are claiming the world’s thinnest smartphone at 6.18 mm with their Ascend P6 just beating the Alcatel Touch Idol Ultra at 6.45mm…just 0.28mm to go to match the record for the humble mobile telephone…although the Samsung U100 does have a camera lens ledge jutting out. The Apple iPhone 6 in late 2014 has arrived at 6.9mm. New world record in mobile thinness are likely. GSMHistory will reflect them in future editions. The Apple iPhone has transformed the mobile industry. Its impact on the visual appearance of a mobile has been to put the screen at the centre of the design of a mobile. A lot of Internet content, particularly videos, look better when the mobile is held in a landscape view and this now influences the ideal aspect ratio (good bye the dream Talby candy-bar form factor). Users want the largest possible screen so very little real estate is available beyond the screen for the mobile for the designer to use to differentiate a mobile. 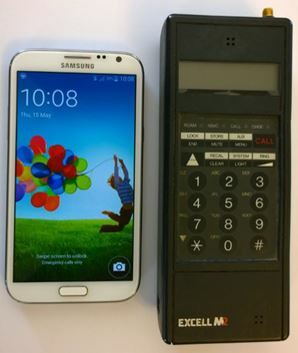 An industry that once took pride in shrinking the size of the mobile phone now finds itself taking the size of a mobile almost back to its starting point. (Back to the Table of Contents). 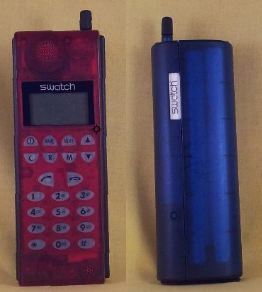 Swatch was one of the first companies to bring both “a brand” and “colour” to the mobile phone. The design created by the Italian designer Fabrizio Galli for Swatch and launched in the UK and Italian analogue TACS markets in 1993. 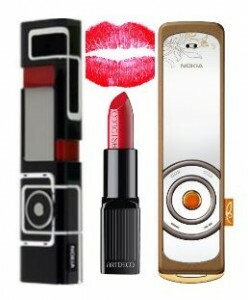 The mobile electronic innards were Nokia but the outside was pure Swatch – bold and colourful. Another design first is the curved back making it more comfortable to clutch in the hand than some of its contemporary “bricks”. The see-through plastic allowed a view of the electronic innards revealing perhaps the watch makers influence, although less fascinating than the moving parts of a watch. At the time Fabrizio Galli was studying under Mario Bellini the world renowned Milan architect and designer. The mobile sold better in Italy than the UK but by 1993 GSM mobiles were in the ascendancy – so its sales life-span was relatively brief. 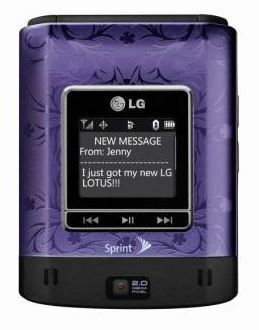 The LG Lotus (LX600) combined design and colour to allow Sprint Nextel to better address the female market segment. It was introduced in 2008 in a soft mauve or darkish red. A black version was also available. In a joint marketing endeavour with LG the US fashion designer Christian Siriano designed a limited edition scarf (described by one commentator as “billowy”) with a pocket specifically to accommodate the LG Lotus. 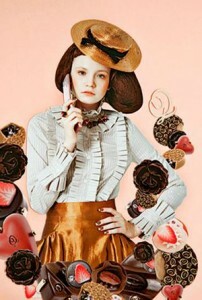 In the same fashion show the mobile was to be seen half out of a pocket in a chocolate coloured vest on the catwalk. The mobile is likely to be remembered for much longer than the Siriano scarf but no doubt LG found an endorsement from the great designer very helpful. 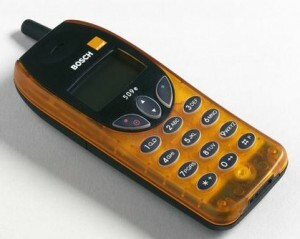 The mobile industry was remarkably slow to exploit colour in their mobile designs. Black was the norm and set future customer expectations. Going for a very striking colour might attract some consumers but put off many more. Black was the safe choice. Ericsson was the first to discover a way to meet every taste in colour with the same mobile and also allow a user to change their minds half-way through the day – the snap on colour fascias. On pure design alone Siemens deserved to have a much bigger impact on the global mobile market than it managed to achieve before it exited in 2006. One of the best out of the Siemens design stable was the very neat SL55. 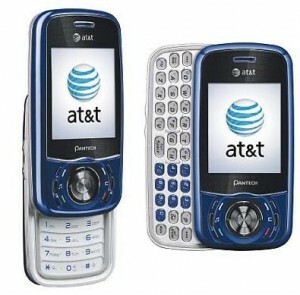 The mobile was small and rounded like a pebble. It felt good to hold. 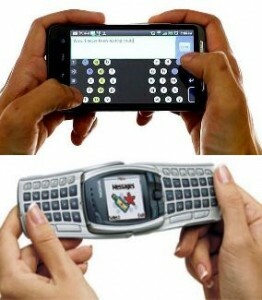 Slide the mobile and the keyboard appeared. It came together as a great design but why were the colours so dull? Siemens produced a very limited edition of the SL55 in the striking Ferrari red. On the back was the name of Vodafone and their logo as it appeared on the Ferrari F1 racing cars. 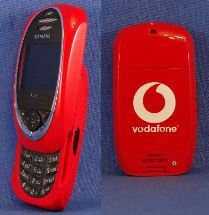 Vodafone were sponsoring Ferrari F1 at the time. 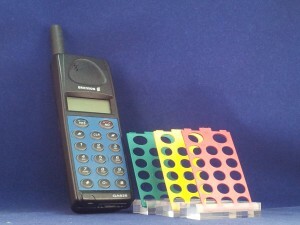 The mobiles in this very eye-catching colour were given out as Corporate gifts and it is not evident that they were ever made available to the public. The Sony culture excels in great designs that do not compromise on technical performance. One of the problems of shrinking the length of a mobile is that the distance between the human ear and mouth does not shrink with it. 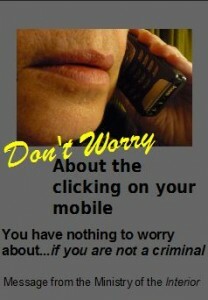 Hold a tiny mobile to the ear and the mobile microphone is capturing very little of the sound a voice is projecting. Sony came forward with a neat design solution – the swivel boom microphone on the Sony CM-R111. The mobile brought together an attractive style and form factor with features that maximised the mobile’s technical performance – the boom microphone and extendible external antenna. The one draw-back was that the boom microphone was vulnerable to damage. A “polar” alternative to the approach taken with the Sony CM-R111 was for the extendible piece to contain the loudspeaker. 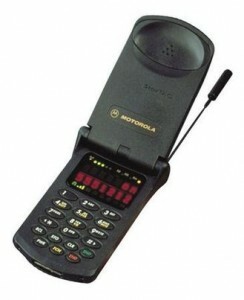 This design solution emerged with the Motorola StarTac in 1996. The hinged cover was much stronger than the boom and also protected the keys from accidentally being depressed when carried in a pocket. 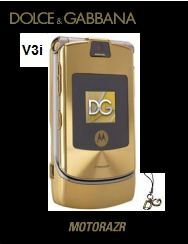 It led the industry design route to the “Clamshell” that was to came to dominate mobile phone market over most of the early 2000’s. 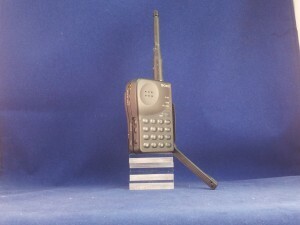 The earlier clamshell mobiles with a full screen in the lid had a thickness that made them look inelegant. This led some to take the view that the design was unlikely to catch-on. One such person was the CEO of Nokia. But is was not a view shared by consumers. Soon the entire market was moving towards clamshell mobiles. 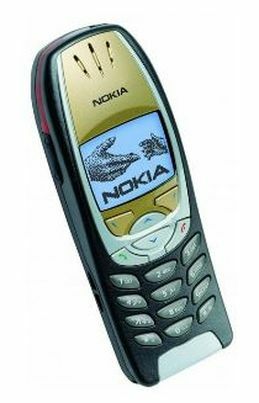 When one very very senior Vodafone executive in 2003 asked senior people at Nokia why they still had not produced a clamshell design of their own…not a word was said…all eyes looked upwards! 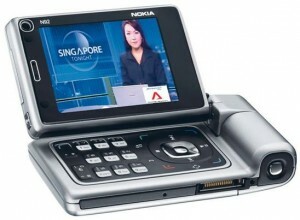 It was not until late 2003 that Nokia gave way and announced their first clamshell, the Nokia 7200. 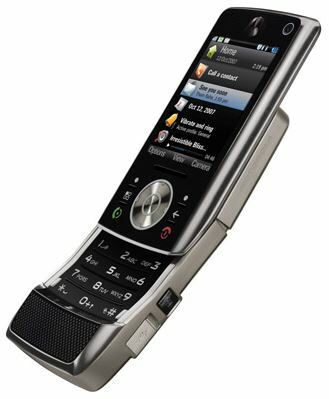 There was perhaps only 3 months between the Nokia 7200 arriving in the market and Motorola announcing a clamshell mobile that took the world by storm – the Motorola RAZR V3. 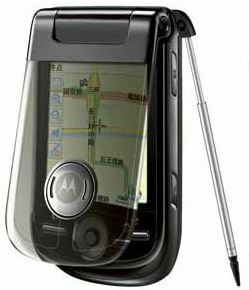 Motorola sold over 150m RAZR V3 (and variants) and the sheer number makes the design seem commonplace today. At the time its arrival it sent a high voltage shock right across the industry. It’s slimness at 13.9mm was ground breaking for a clamshell. By way of comparison the Nokia 7200 was 26mm thick. 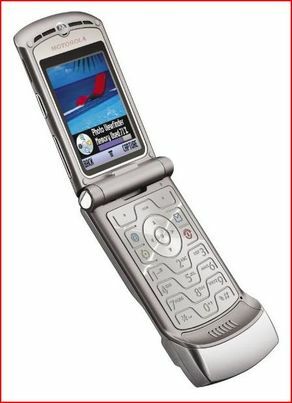 In all regards the RAZR V3 was a master-class in industrial design right down to the electroluminescent keypad made from a single metal wafer. 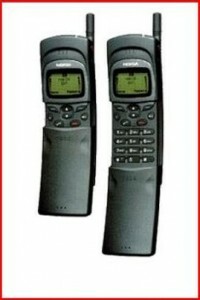 The Nokia 8110 announced in 1998 got the ball rolling in making “a slider” mechanism popular with consumers. This mobile is also in a select group of great “nostalgia” mobile, cementing its place by being a prop in a particularly cool film of the period called “The Matrix”. It’s banana shape is also clever in bringing the microphone more directly in front of the mouth. However the disadvantage is its curved profile makes it less comfortable to carry in a shirt pocket. The Siemens SL10, introduced in 1999, carried the slider into its mainstream form where the electronics is distributed between the two sliding sections. 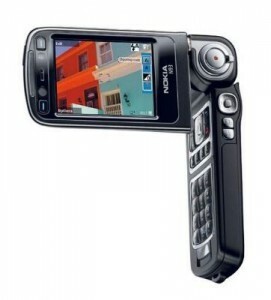 The design high point of the slider mobile in the mass market is probably Nokia’s 8800 series announced in 2005. The twister has the same concept as the slider of breaking the mobile into two parts to reduce the length of the mobile not in use and the same flick of the thumb to produce a working mobile at its maximum length – but by a quite different mechanism. The Motorola V70 launched in 2002 demonstrated market interest in this novel rotational approach but interest in the concept muted by a mediocre technical performance. The V70 nevertheless remains a mobile of interest to collectors. Proof that the twister has its following came with the introduction at the luxury end of the market of the Motorola Aura in 2008. 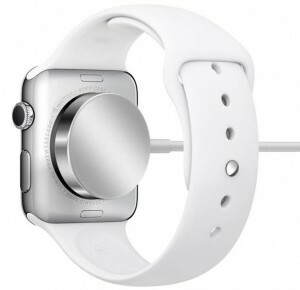 The mobile has an etched stainless-steel body and rotating cover with a visible gear mechanism. This throws into sharp contrast a stunningly clear screen enhanced by a 62-carrot sapphire-crystal lens. The high point of mobile designs involving moving mechanisms must surely be the Nokia N92 and N93 in 2005 and 2006 respectively. The lid swivels on one axis like a normal clamshell. It swivels on the other axis to make a neat screen to watch when the mobile is set down on a table. The angle of the screen is adjustable in this position. With those two axis of movement in place the screen can be set in almost any position relative to the rest of the mobile. This might be of some use when the camera function is being used but a more certain objective is just showing off a quite brilliant brilliant design. 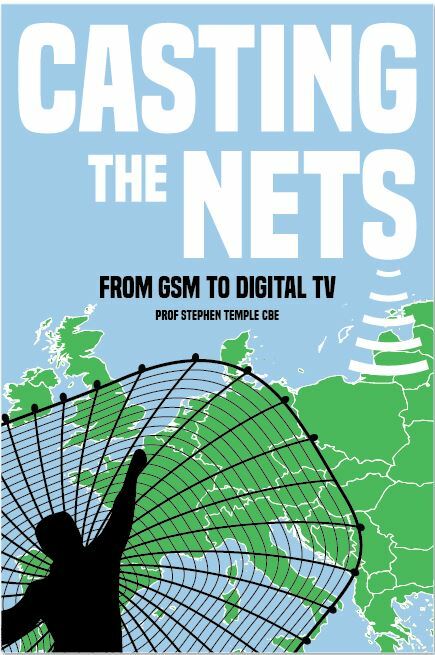 The seminal “Phones on the Move” UK DTI consultation document coined the phrase the “Office in the Pocket”. There has been no office since the invention of the PC that has lacked a fully QWERTY key-board. So getting a full QWERTY key-board onto a mobile phone was essential to fulfil the mobile’s “Office in the Pocket” destiny. 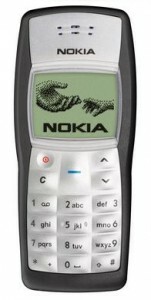 The Nokia 9000 got the mobile phone to first base. For a number of years the Nokia 9000 series has a band of loyal followers. Another excellent function of the mobile was it loud-speaker that provided an excellent audio conference terminal for office meeting rooms. 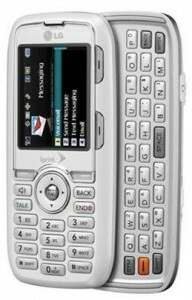 The Siemens SL10 is the first mobile with a slide-out keyboard. It was essentially a simple numeric keyboard and was marketed in 1999. 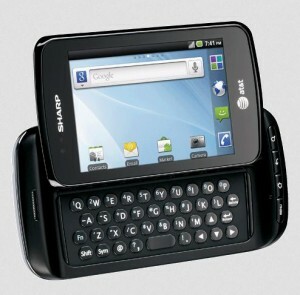 One of the first Qwerty slide-out keyboards emerged in 2002 and was the Danger Hiptop. It presented “Landscape” view of the screen. The “Landscape” screen presentation offers a wider associated Querty keyboard than the “Portrait” presentation. This seems more ideal. But Blackberry’s decision to use the “Portrait” presentation on the 9800 is probably due to fitting better with the Blackberry form-factor design heritage. It was inevitable that designs of mobiles would come on the market where the keyboard is revealed by twisting the top layer of the mobile. 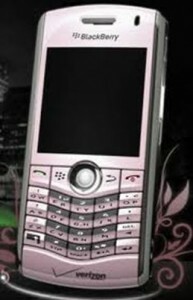 The Nokia 7705 is one example. 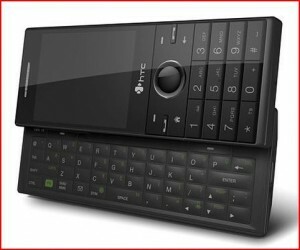 The HTC S740, that came out in 2007, provided a normal numeric keypad on the front of the mobile for telephone calls and a “Landscape” sliding Qwerty keyboard for text. The LG Rumour is another example that came out in the same year. An interesting hybrid design is the Samsung U750 that came out in 2010. 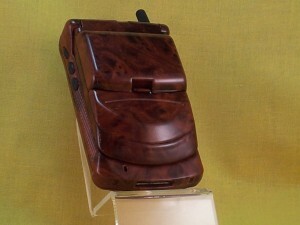 This has a dual hinge and opens one way for text on a Qwerty keyboard and the conventional flip-phone opening to expose a numeric keypad for telephone calls. 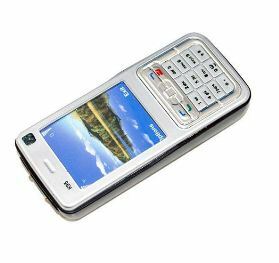 An interesting feature of this design is how it avoids the patent filed in 2003 by Invatec Appliances Corp for a “Hand-held communication electronic apparatus having two slidable keypads”. 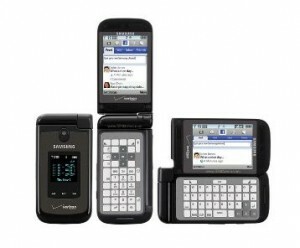 The pure two slidable keyboard approach can be found in the Pantech Matrix C740 that ATT offered in 2008. Keyboards are highly functional but that has not suppressed creative designers from making them attractive works of art. This is an area where people will have their own opinions of what looks beautiful. Even more contentious would be any sort of claim of the most beautiful. 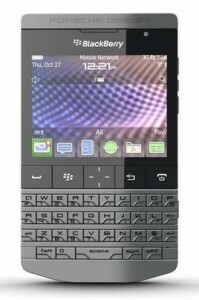 So the Blackberry Pearl is given only as a likely contender in the competition. Bring the two words “Blackberry” and “Porsche” together and the immediate assumption is that word “Porsche” is there to enhance the brand image of the Blackberry P9981. But looking at this quite stunning design and one can believe that it is the Porsche brand that is getting a brand up-lift from its association with the mobile. That said Thorsten Gessler and his Porche Design Group had a big input to the design. 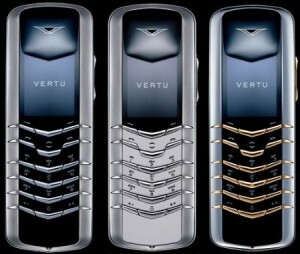 The body of the phone is made from forged stainless steel and the back cover is hand-wrapped leather. What really lifts this phone into the league of its own is the design of the keyboard. It is a work of sculptured art. 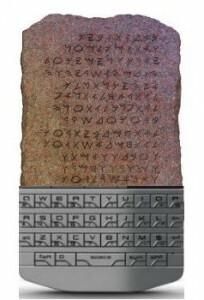 If the smartphone had been around in the times of Moses then surely the Tablet of Stone would have had this keyboard attached to it. The design philosophy of Yves Béhar was to try to return the mobile to its roots of voice, clarity and simplicity – a response to the design blandness of the smartphone. Its name may be difficult to translate into all languages but it speaks the universal language of a “work of art”. The tactile keyboard is very popular with users and particularly those spending a lot of time entering text. But for a smartphone, where the keyboard can appear and disappear on a screen with a swipe of a finger, the tactile keyboard is an extra cost, design complication and most of all adds to the thickness of the mobile. Consumers like thin mobiles. So a lot of design attention on keyboards has switched from hardware to software. But design creativity remains very much alive. A good example is a proposal from John Lambie an Australian entrepreneur. which has been designed for optimum use with either one finger or to split itself in two for the use of two thumbs. There could be no better example to show the potential of the smartphone in transforming the balance of mobile design from the physical world to the world of software application. 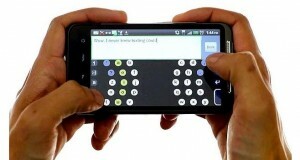 The first mobiles used keys to allow users to navigate between menus on a screen and up and down a menu. 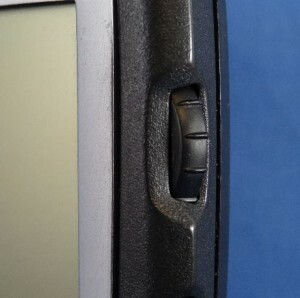 Nokia gained an early market lead in the analogue mobile era getting the interface right between key, strokes, screen menus and where the user was trying to navigate to. The next significant design innovation was the introduction of their ‘Navi-Key’ menu navigation system in 1997 with the Nokia 3110. 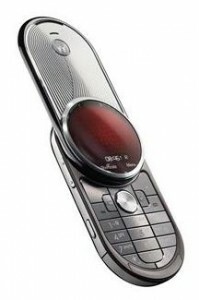 A very distinctive alternative to the Nokia approach was the scroll-wheel introduced by Blackberry. It was on their very earliest models. 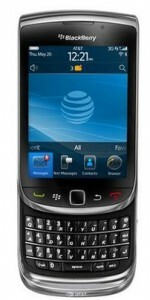 The first Blackberry on a public cellular network with a scroll-wheel was the Blackberry 5810. It was loved by users and was a contributory factor to the “Blackberry Addiction”…where Executives would spend their waking hours scrolling up and down the flood of corporate e-mails they had received…pausing to click on the same scroll-wheel to read a particularly important e-mail. The blackberry would be held just below table level in meetings with the thumb having a full work-out and eyes down pretending to follow a paper being presented at the meeting. In September 2006 BlackBerry introduced a miniature trackball that allowed full 4-way and mouse-style navigation on their Pearl 8100. In fact the name Pearl came from the fact that the trackball looked at a distance like a pearl. The very early versions proved less reliable than the scroll-wheel. 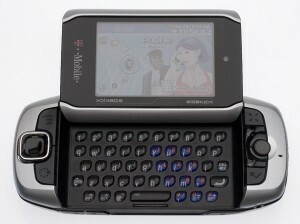 In June 2006 the T-Mobile Sidekick 3 also came out with a trackball. The emergence of the trackball from two manufacturers in 2006, the optical joystick from Samsung also in 2006 and the Apple iPhone and LG Prada with capacitive touch screen entry showed just how the momentum was building-up in in the industry 2006 for radical change in design philosophy in navigating around a mobile. 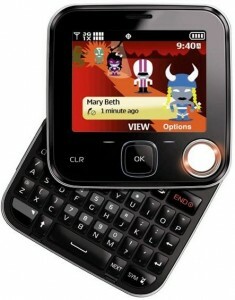 In December 2006 Samsung launched the first mobile featuring an optical joystick – the Samsung ‘SCH-V960. Optical sensors read and reacted to a users’ finger movements. It provided 360 degrees of movement and was the first departure from the traditional four-way menu navigation. 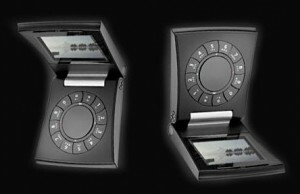 The first smartphone which was unlocked by the user swiping their finger across the touch sensitive screen was the Nionode N1 launched in 2004. Their technology used a web of light beams. When the mobile was locked a padlock was displayed with an arrow to indicate which way to swipe. An earlier version actually had the words “right sweep to unlock”. Apple is credited with popularising an exceptionally easy to use smartphone navigation around swiping and touching a touch sensitive screen. It was one of those rare moments in design history of getting everything right in one leap. Apple may not have invented the capacitive touch screen or been the first to bring a mobile to market with one (the LG Prada was the first mobile with a capacitive touch screen) but their genius was bringing it to life in a way that smashed all the human factor barriers to users easily accessing the Internet on their smart phones. The proof of this has been the double digit compound growth rates of data across mobile networks ever since. 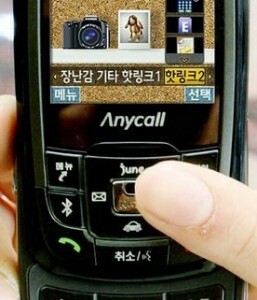 The industry has been packing all manner of features into mobile phones. What have designers come up with for self-defence in these troubled times? Where are the mobiles that shoot more than just photos? The most popular approach appears to be the stun gun. 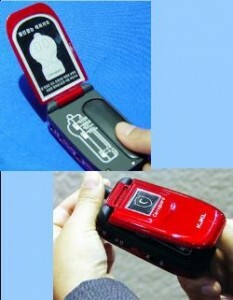 There are at least half a dozen models of stun guns dressed up as mobile phones. Top of the range is the Kelin K95 manufactured in China. The 4.8v battery makes is appear harmless enough but it delivers a jolt of 2,500,000V. This places it in the voltage range of the Tasers used by many police forces – so it is no toy. The devices can be legally carried without any need for a permit in 43 states in the US but it is classed as a fire arm in many European and other countries and prohibited. Some may take the view that if the stun gun is classed as a fire-arm – why not go for the real deal – a gun built into a mobile phone? 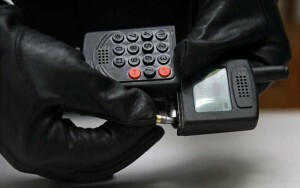 It came as a surprise to the Italian Carabinieri in 2008 to discover what appeared to be a normal mobile phone but was actually a lethal firearm. The mobile phone gun was found in a raid in a suburb of Naples, southern Italy, as part of an operation against the Gionta crime family. It fired four .22 bullets through an outlet at the top disguised as the aerial. 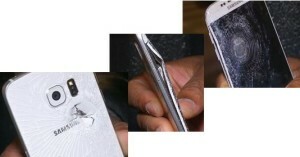 The bullets were loaded by sliding the mobile phone below the screen sideways. Another approach to hiding a weapon in a mobile has come from company in Korea with a pepper spray housed in a mobile phone clam shell. What these offensive weapons built disguised as mobile have in common is that non of them allow the user to make or receive telephone calls on them. This is surprising as the greatest contribution to personal safety, by far, comes from the ability to telephone the police. .One designer has came up with quite an outstanding industrial design where a pepper spray does not impede the telephone function. 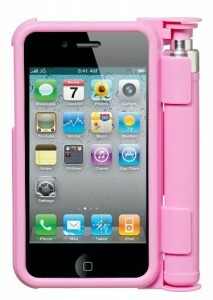 It is an accessory for the Apple i-Phone. Mobile designs can have flaws. For example most can be adapted so that they can be dialled and auto-answer on silent mode…even without the light coming on This turns the mobile into a listening device. This can be done with almost any mobile but some were easier to modify without having to get inside the mobile. fetched over 500 times more than the usual second hand price. 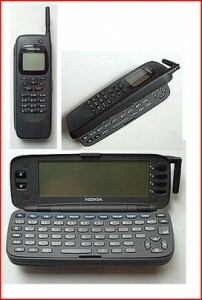 But it was only for ones manufactured at Nokia’s German plant in Bockum that fetched these astronomic prices. It turned out that they had a software design flaw (bug) that allowed criminals to reprogramme them to use someone else’s phone number. This enabled them to intercept the Transaction Authentication Number (TAN) codes sent by some German and Dutch banks to authorise money transfers. These example are few and far between for the older generation of mobiles that used proprietary software. This shielded users from all the bugs, viruses and malware that have long been the bane of our PC’s connected to the Internet. One of the down-sides of Smart phone is that they open the flood-gate to all these troubles and woes that will hit the mobile user in due time. In November 2015 a suicide bomber ignited his bomb outside the State de France in Paris and sent a shower of lethal shrapnel flying in all directions. One struck a passing Parisian on his way home. His Samsung S6 smartphone took the full impact of this high velocity jagged metal shrapnel piece. The strength of the case and glass screen probably saved his life. A credit to the quality of material used for this particular smartphone and an addition to the annals of unusual benefits of carrying a mobile phone. It remains today a popular collectors item. 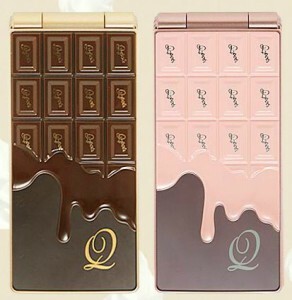 In 2012 the Japan mobile operator DoCoMO caught the design world’s attention introducing a mobile that was made to look like a bar of chocolate. Sharp made the mobile in collaboration with Q-Pot and their designer Tadaaki Wakamatsu. Quite brilliant and with a legacy of a very collectable item of any mobile design collection. 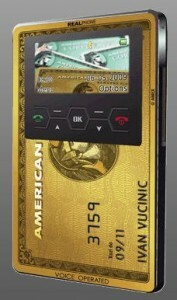 Real Phone Corporation produces GSM mobiles with the size and form factor of credit cards. What some may first see as a design gimmick has a more serious commercial purpose. 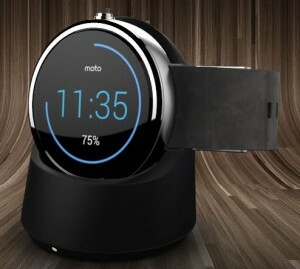 It uses the mobile as a promotional gift to publicise corporate logos. At an earlier time the pen or diary were the customary items for corporate gifts bearing corporate logos. 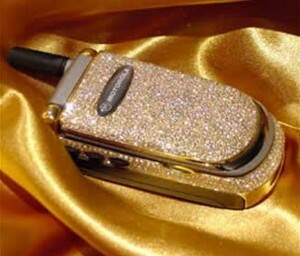 Today a Motorola V220 could be acquired today for £12 at auction but the Special Edition would costs over 2300 times this figure – elevated by 1,200 diamonds encrusted on the mobile, 18 carat gold keypad and the name of the designer Peter Aloisson associated with it. 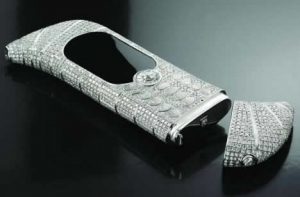 At the end of the day the mobile has become a means of carrying around a store of value in the precious stones. 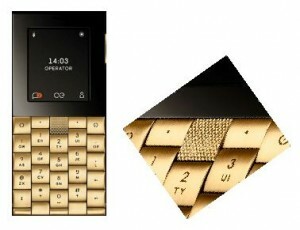 It is officially the most expensive mobile phone in the world, according the Guiness Books of Records. The “Le million” is a one off, featuring a blinding 120 carats worth of VVS-1 grade diamonds, according to designer Emmanuel Gueit. What makes this mobile perhaps more than just a carrier of precious stones. The shape of the mobile is unusual – even exotic. The Mobiado Professional 105GMT mobile may have been more appropriately located under super-luxury or even a work of art. It is relevant to a section on unusual materials though its use of ebony. The entire front and back is created from a 274 carat sapphire crystal set into a 5 micron think 24 carat gold plated brass frame. This is inlaid with ebony hardwood. 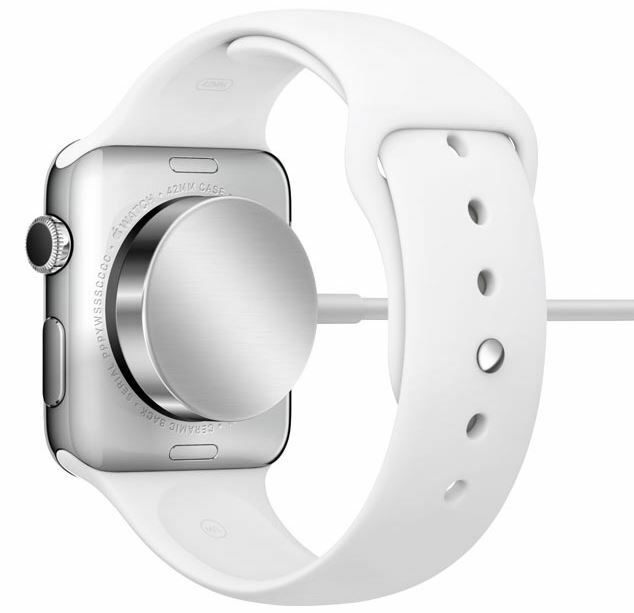 The battery cover is made entirely from one large piece of sapphire crystal. 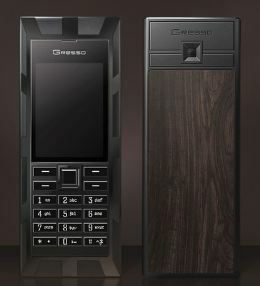 The variation in the wood has enabled Gresso to claim that each mobile is unique. The material is still plastic but much effort has gone into making it look like expensive walnut wood – the sort that might be found on the dashboard of an early Jaguar car. 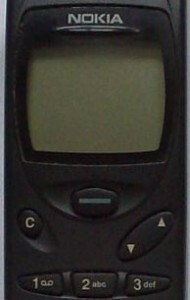 Plastic has been used imaginatively in several mobiles. The first noteworthy effort is the Bosch 509e. It has see through plastic so the innards of the mobile engine are visible. The choice of colour was chosen to align with the house colour of the network operator “Orange”. The mobile is in the Collection of the “Museum of Design in Plastics” in University College at Bournemouth. The see-through hinged lid protects the screen and provides almost a shop window effect on a nicely styled mobile and lifts it above the plethora of other clamshell mobiles. The clear plastic projects an image of something behind that is worthwhile enough to protect. 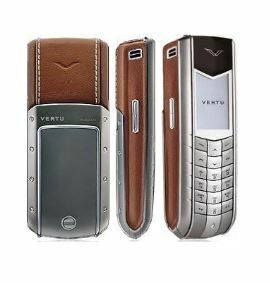 There are a number of mobiles that have done the same thing with leather. 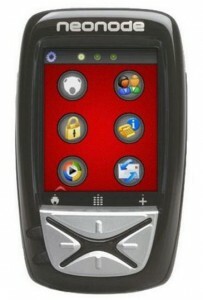 The DoCoMo N701iECO is a 3G (UMTS) clamshell mobile with 1.2MP camera and a battery standby time of 430 hours. Nothing exceptional there. 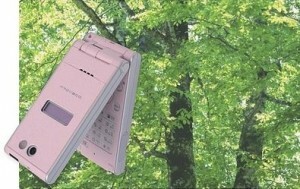 What is special is that it is the first mobile to be made from (90%) high-biomass plastic. The plastic (kenaf-reinforced polylactic acid or PLA) is made from lactic acid obtained by fermenting dextrose from a biosource corn PLA made in an industrial composting facilities. To improve the material’s strength and heat resistance woody fiber is added from the kenaf plant (Hibiscus cannabinus L.), a fast-growing plant. Moisture resistance is improved by using a synthesised version of PLA, Terramac. The mobile resulted from a collaboration between NEC and fiber/textile manufacturer Unitika. The mobile was launched in 2006 on the DoCoMo network with a strong emphasis on its contribution to sustainable materials.and low carbon footprint. 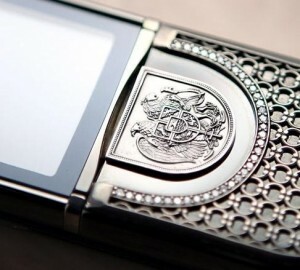 Over the past few decades all the leading mobile manufacturers have sought to lift their own images by producing limited (or special) editions of their mobiles simply by adding the name of a widely recognised fashion or luxury good global brands on the mobile. It has then been presented to the market with the right packaging and premium price. Three examples are given below. 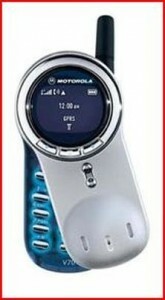 Motorola V3iDG- aspecial edition was certainly not a limited edition but one that sold very well. Fender are extremely highly regarded is some parts of the pop music world for their electric guitars and high quality loud-speakers. 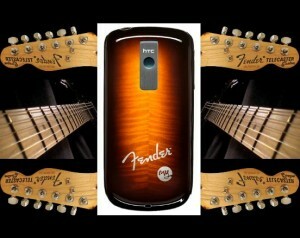 The HTC showed a lot of marketing sophistication with a collaboration with Fender in 2009 to promote a smartphone directly addressing this youth sub-culture. 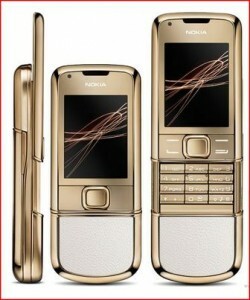 The Lamborghini Nokia 8800 Sirocco is another special edition, this time out of the Nokia stable. 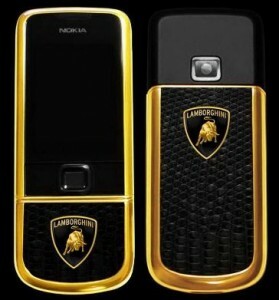 It is a standard 8800 Sirocco but with the addition of the famous Lamborghini logo engraved on the font and the back. This example had the added cache that the ball bearings in the slider phone mechanism were supplied to Nokia from the auto company. It was a limited edition of 500 that all featured Lamborghini graphics as wallpapers and screen savers. There was even a special ringtones and short documentary video about the Lamborghini. The TAGHeuer Meridiist claim to this top league of mobiles is the 430 hand-assembled components. These sit inside a sturdy stainless steel body with a screen made from 60.5 carat scratch resistant sapphire crystal. The marketing strap line for the Meridiist is “Time in your Hand”. 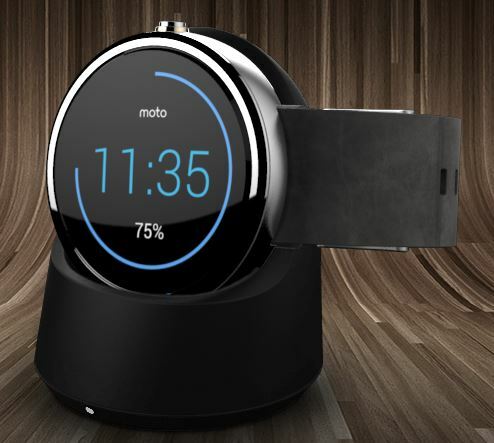 This built on a design feature of a small messaging display in the top of the mobile allowing the user a discrete glance at the time, calling number identity and even incoming messages. A “craft” industry has sat under the mobile industry for a number of years that has taken standards (usually top of the range) mobiles and embellishing them with creative designs. 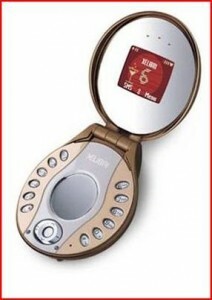 The mobile was produced by Olinari, a company formed in 2006 to take everyday gadgets and turn them into works of art. 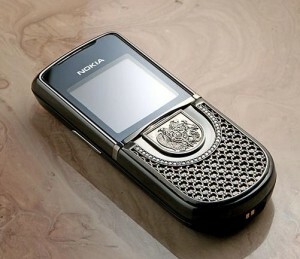 The enterprise was known at an earlier time as Loriolus and customised Nokia mobiles by gold and chrome plating them. The “King Arthur” took this craft to a new level and is regarded as one of the best examples of a mobile as “a work of art”. 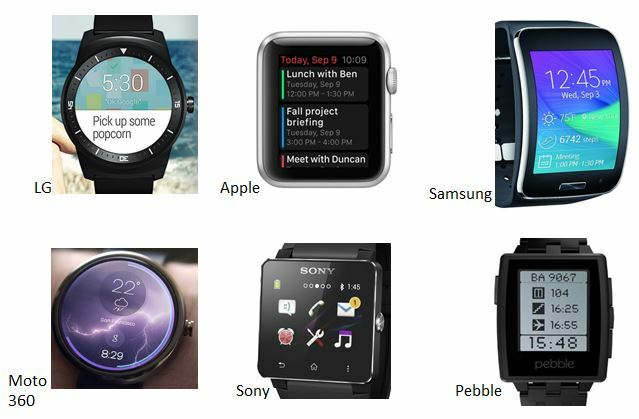 The smartwatch has opened up a new frontier of design challenge. 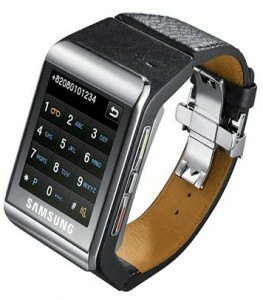 The smartwatch differs from the mobile telephone built into a watch. 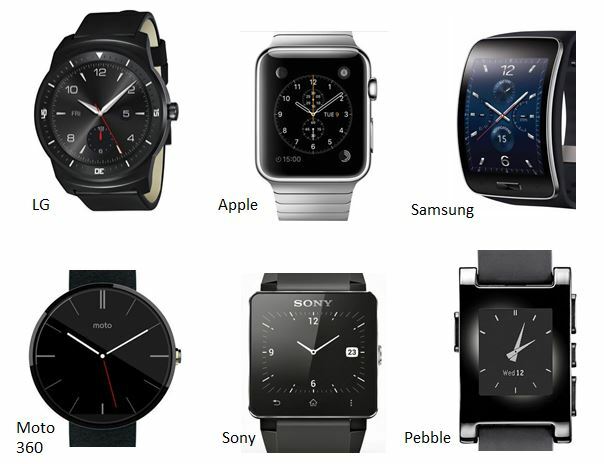 It is a mobile computer built into a watch and defines the first design challenge: 100’s of years of conventional watch design reveals a general consumer preference for a round watch face but the ideal computer display is a rectangle. How has the industry met this challenge? The circular display imposes an extra limitation on displaying information generated in a rectangular format world. A notable design innovation is the curved display used to very great effect with the Samsung Gear S.
This design approach extends the period between recharging the battery to an impressive 7 days. 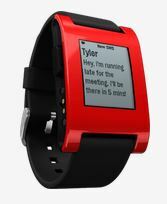 The e-paper display also offers good contrast that stands up reasonable well in day-light. But the display lacks the impact of colour. 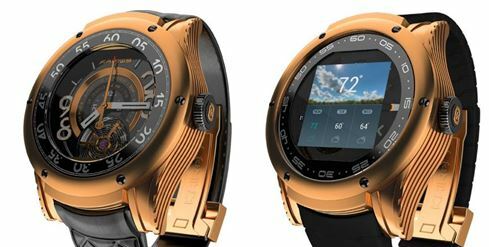 Kairos is claiming an impressive battery life of 5-7 days for the smartwatch function but more impressive is the cross-over this design achieves with the luxury end of the watch market. The battery drain challenge journey is just beginning.